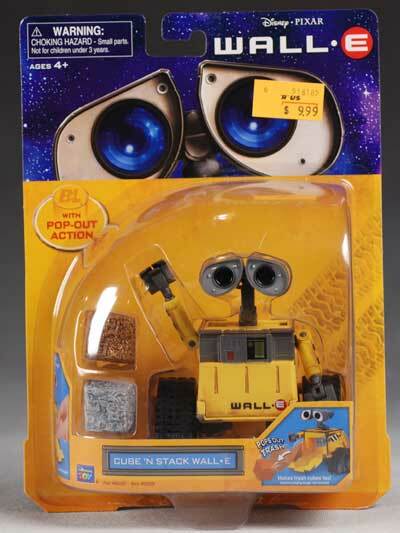 Just last month, Thinkway toys re-released two of the hardest to find figures from their original 2008 action figure line: Search 'N' Protect Eve and this Cube 'N' Stack Wall-E (see the original release HERE) . 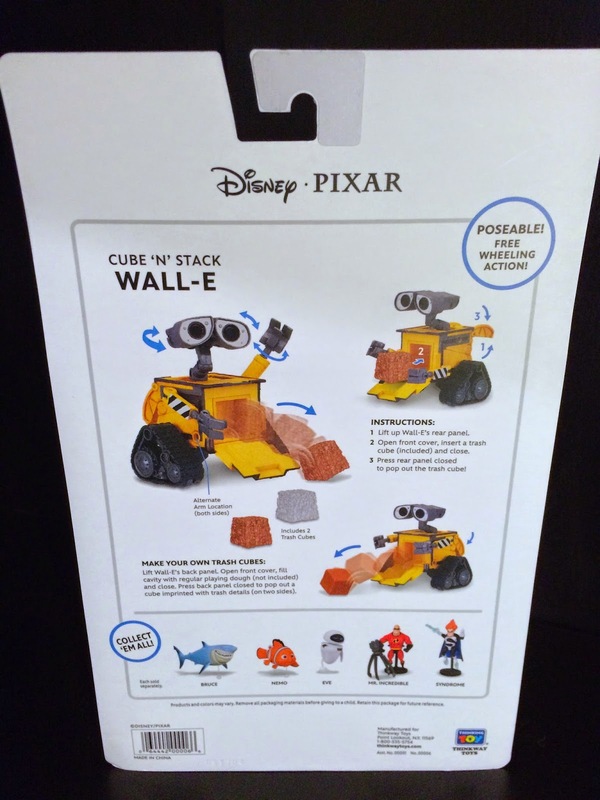 Both are part of the new Disney/Pixar Toys R Us exclusive collection. 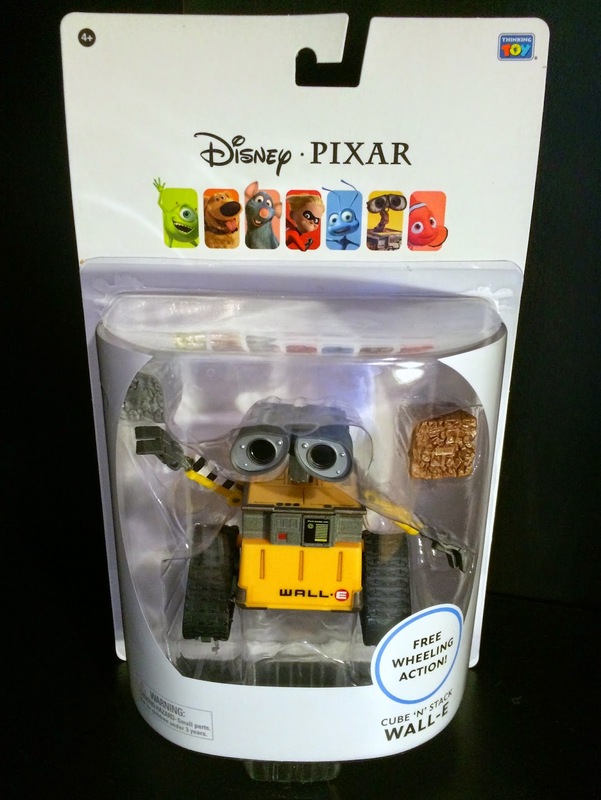 As seen on the package below, other new action figures that have been released as well include: the mentioned Search 'N' Protect Eve, Mr. Incredible, Syndrome, Bruce and Nemo. This is a phenomenal figure with some great detailing, a clean paint job and some nice articulation. 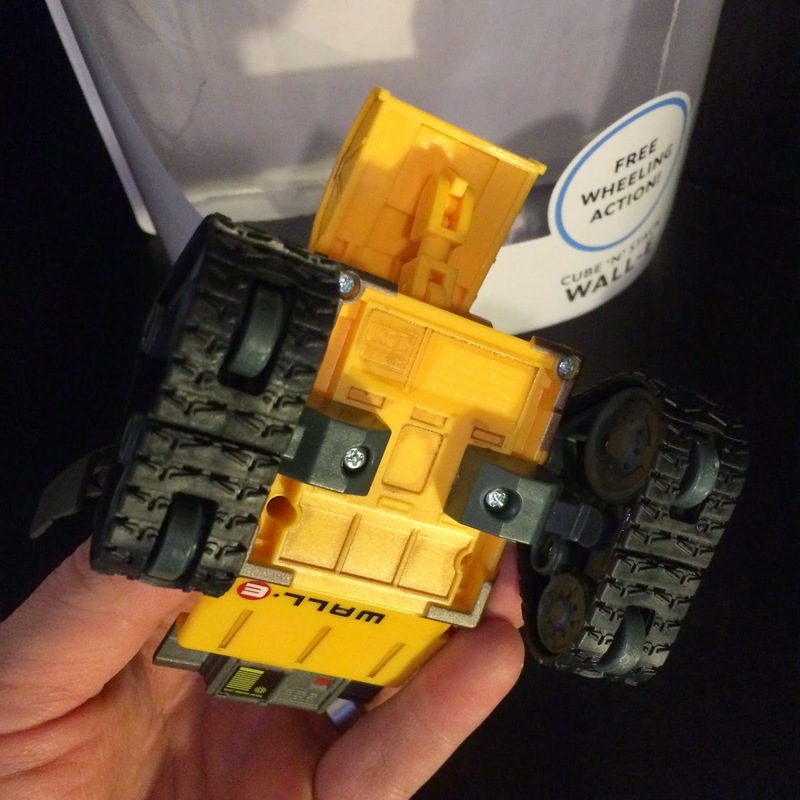 His eyes, neck, arms, wrists and fingers all swivel/are articulated and he has rolling wheels on the bottom of his treads which work great when pushing him along a flat, smooth surface. 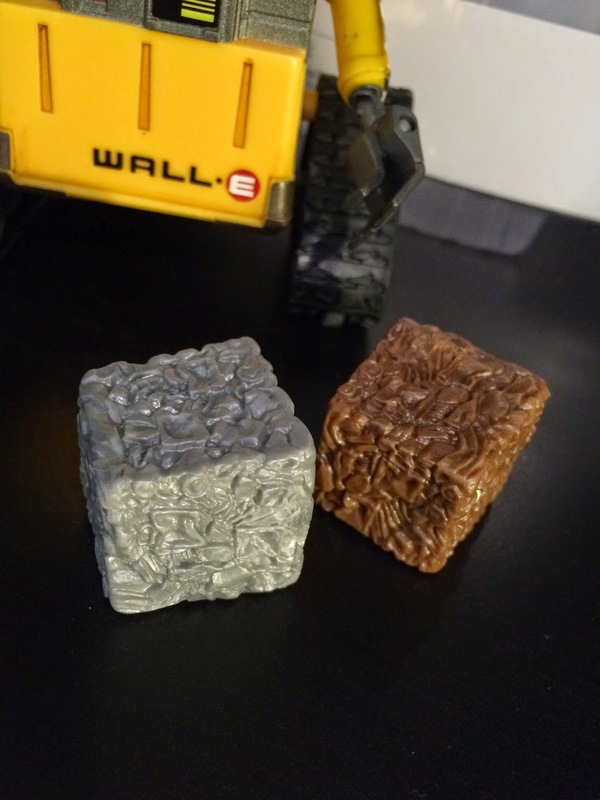 He stands at about 3" tall and is about 3 1/4" wide. 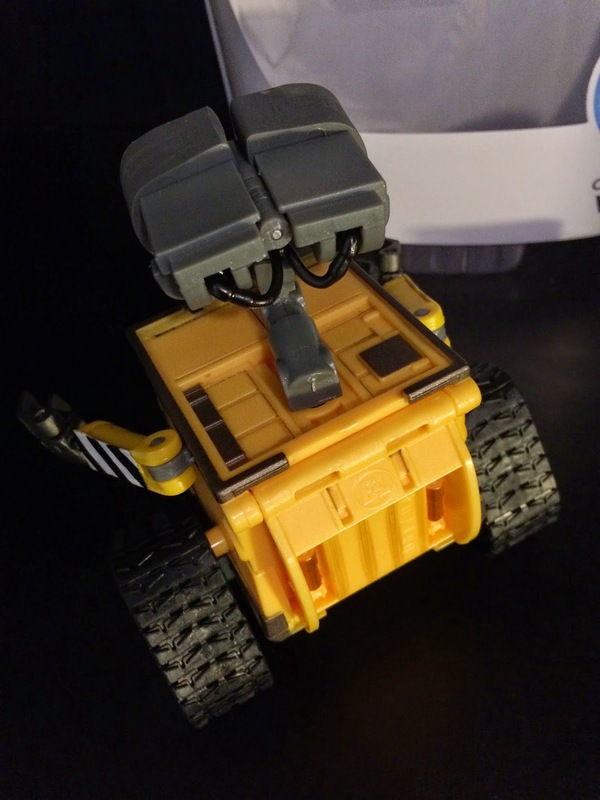 Also, his arms can be removed and be attached to a lower part of his body; if you prefer his arms closer to the ground for picking up garbage. 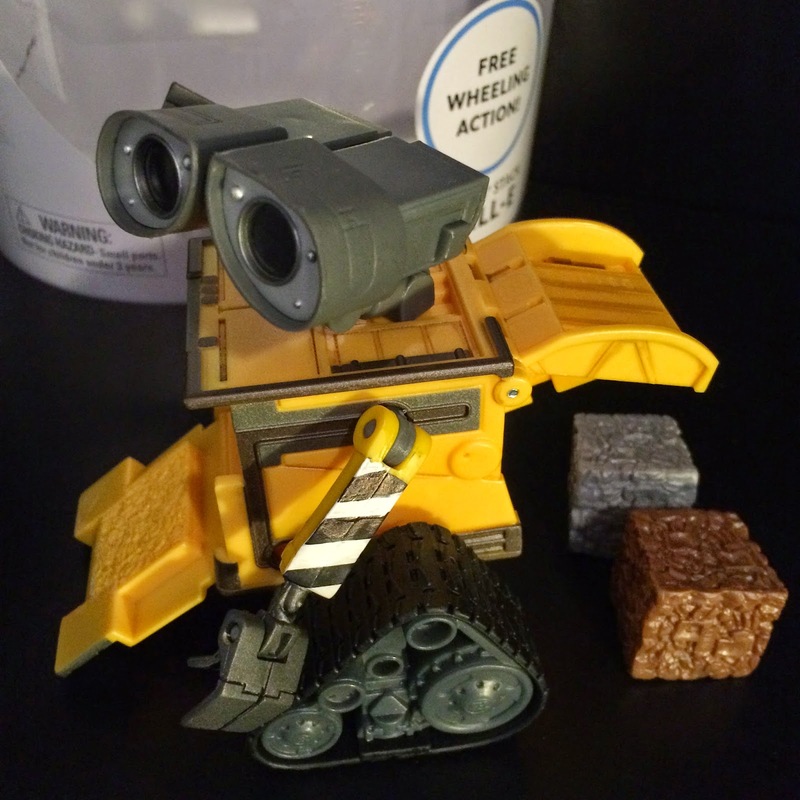 In addition, he comes with two "trash cube" accessories that are a part of his action feature. 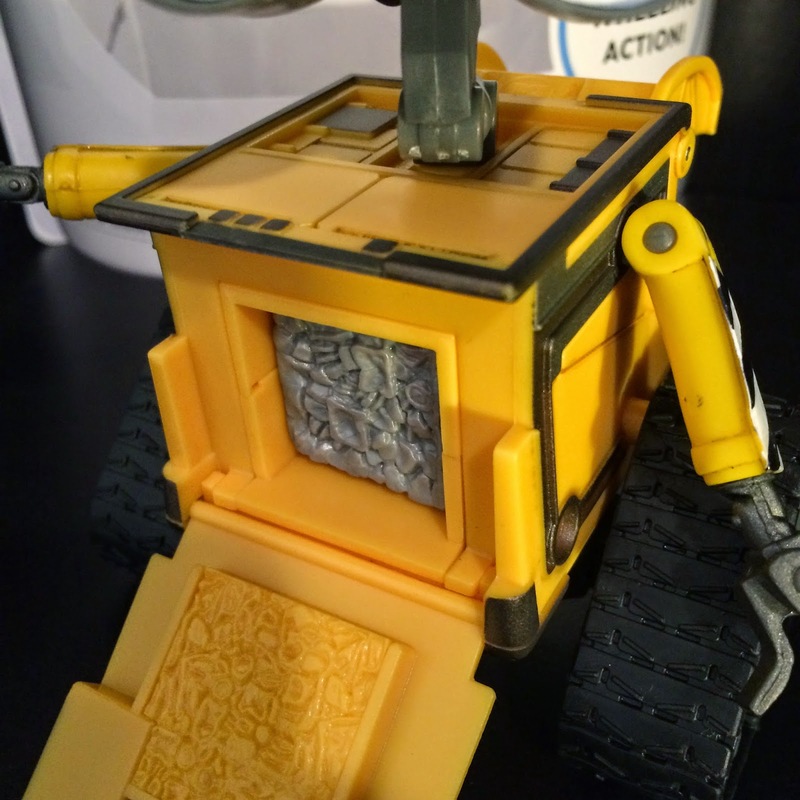 When you open the hatch on his back, it makes room to place one of the cubes in his front. After inserting a cube in the front, close the front hatch and then close the back. 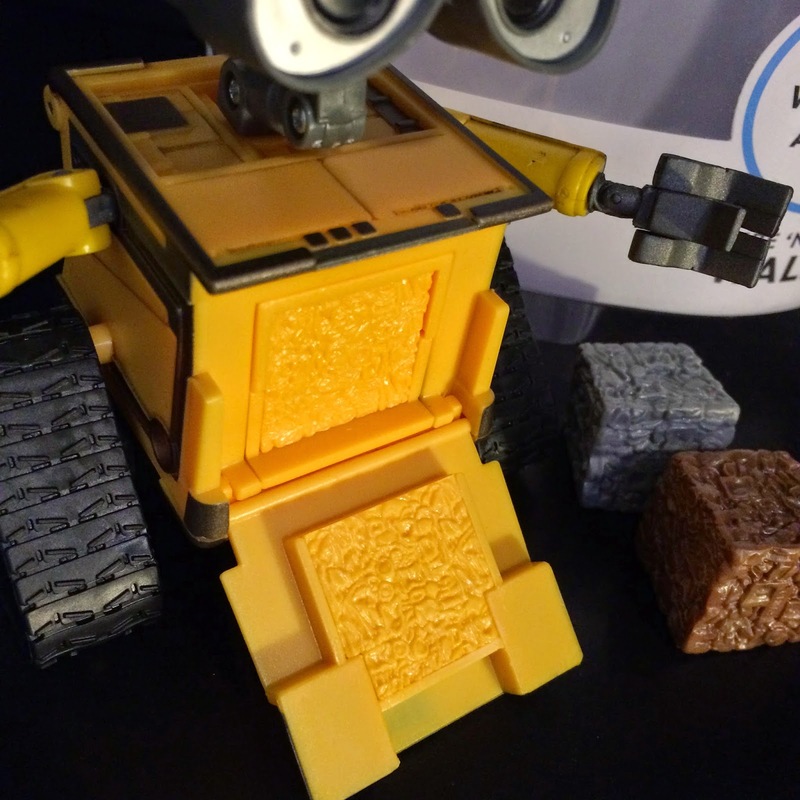 As you close the back, the cube will be pushed out of the front to recreate his garbage mashing feature seen in the film! 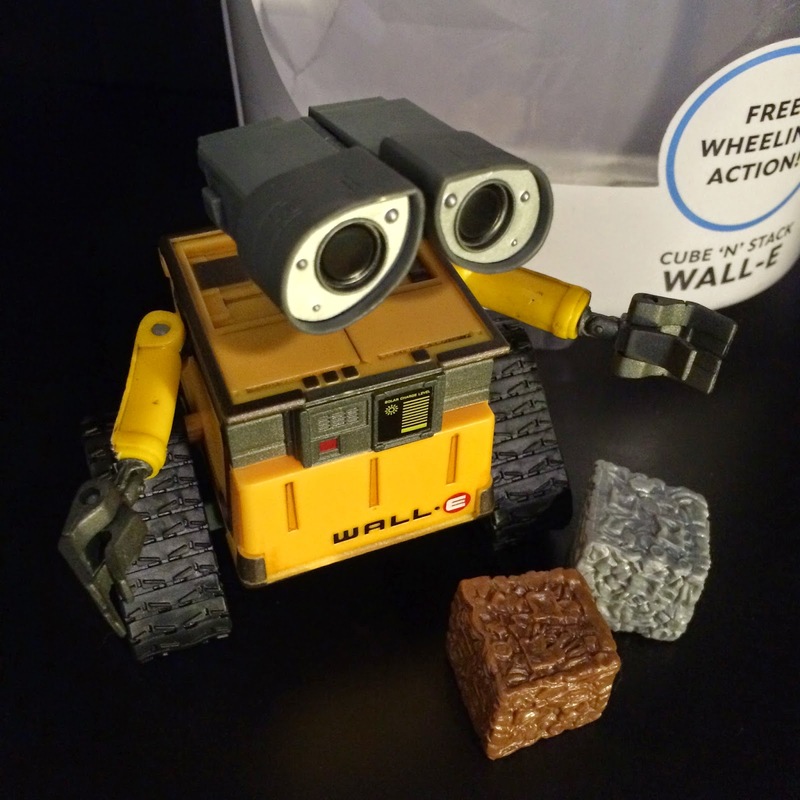 Note: It's stated on the package that this feature also works with Playdough as well. A HUGE thanks to my amazing wife Brita who gave me this recently as a little "just because" present. That was very thoughtful - I was so excited!